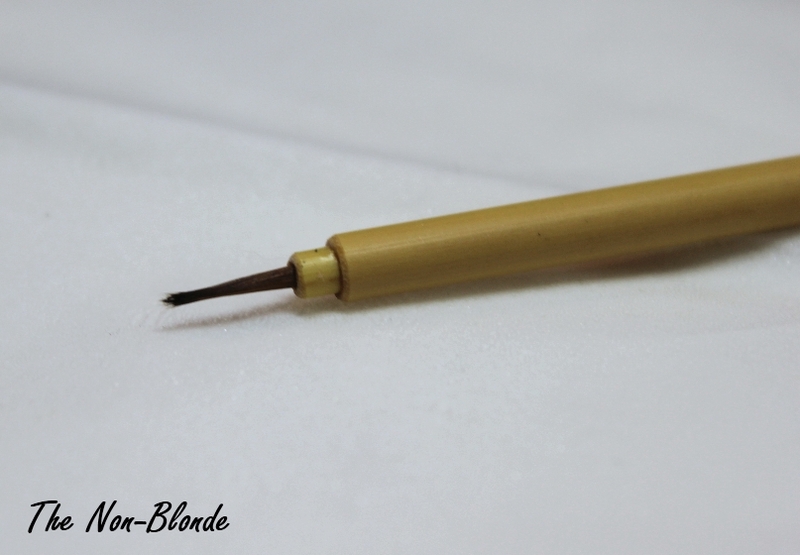 Hakuhodo Tentsuke Eyeliner Brush is both a cheap thrill and an indulgence. Tentsuke is an art brush, part of Hakuhodo's Japanese Traditions series, that is used for eyeliner. It's pretty-- the lightweight bamboo handle makes me think of Japanese watercolor paintings. 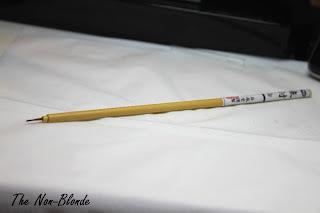 The Tentsuke brush arrives very stiff (I think there's a coating of something or other that keeps the hair together), but it softens after washing so the bristles (weasel) are pliable and have just enough give. Hakuhodo Tentsuke is extremely thin and pointy. You can see the comparison to some of the most popular eyeliner brushes-- Tentsuke is decidedly different. It draws the thinnest imaginable line; it's flexible enough to create a perfect wing/flick after some practice. 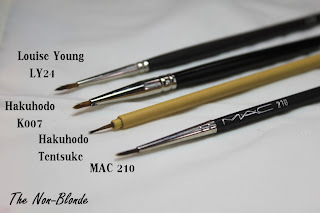 I tend to use it when I need to stay as close as possible to the lash line and to go in and fix mistakes and gaps, as this is the most precise brush I know. 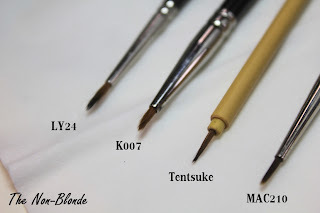 Since the bristles are relatively longer than most eyeliner brushes, the Tentsuke might not be for everyone-- I use my beloved Hakuhodo K007 more often, but it's really nice to have when you need it, especially if you're a Japanese brush addict. Hakuhodo Tentsuke Eyeliner Brush ($12) is available from hakuhodousa.com. 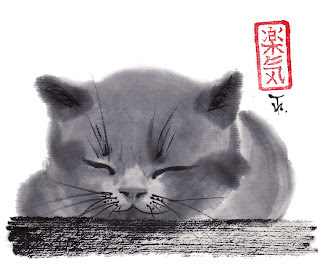 "Sleepy Kitten" is an original sumi-e brush painting drawn in Japanese tradition by artist Irina Terentieva. I thought the K007 was the thinnest brush imaginable, but this is significantly smaller. Good to know about!